As our name suggests, we are not just a supplier of cleaning agents. Attention to detail and dedication to product and service excellence form an integral part of Kemklean’s mission. Established in 1963, Kemklean (Pty) Ltd is an owner managed manufacturer, marketer and distributor of industrial maintenance and cleaning chemicals and food processing and handling hygiene products, throughout Southern Africa. Kemklean supplies hygiene solutions primarily to the Food Processing, Retail, Animal Health, Human Health, Mining, Hospitality and Catering Industries. These solutions include products, equipment, in-field technical support and training. With effect from 1 January 2009, Kemklean purchased the Animal Health Division of DuPont de Noumeurs International S.A, in Southern Africa, now known as Lanxess. An international technical exchange agreement was entered into with Lanxess and Kemklean took ownership of many of the Lanxess specialist products used in the food processing, poultry and human health sectors of the Southern African market. Kemklean effectively became the Southern African arm of Lanxess in the food processing, live animal and human health market sectors in Southern Africa. 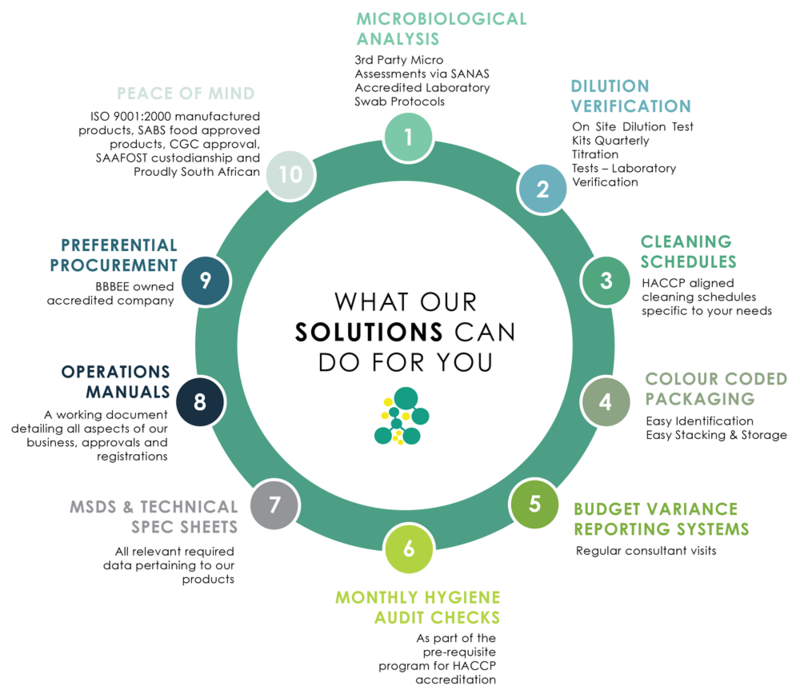 Our company philosophy is to work in partnership with our clients, to provide a total service of needs analysis, product formulation and testing, staff training and technical support that adds up to an efficient and cost effective hygiene solution that works for you. By 2021, Kemklean will be the hygiene solution company of choice in Southern Africa. At that point, it will be a company that meets the profitability and growth benchmarks set by its Board of Directors, that offers a service culture that is unique in Southern Africa, is correctly resourced, and that develops a harmonious and pleasant working environment for all staff members. To satisfy customer cleaning and hygiene needs by providing superior products, systems and services at affordable cost, whilst being committed to protecting the environment, embracing sound Corporate Governance and respecting the dignity of our colleagues.